Among gamers, the term “eSport” is synonymous with a professional video gaming. To be more specific, eSport can be determined as the competitive gaming which takes place on the specially organized events, i.e. tournaments. The eSports pro scene features dozens of teams that compete in the wide array of disciplines. The most popular genres in the eSports industry are MOBAs (Multiplayer Online Battle Arena), FPS (First Person Shooter) and also RTS (Real-Time Strategy). Players participate in the tournaments with real-money prize pools, so it is definitely thrilling to watch the eSports matches. Our list of top esports betting sites also provides some great opportunities to bet on eSports. eSports are vigorously watched by gamers and punters. According to the Global eSports Market Report 2015 conducted by Newzoo, the global eSports audience was nearly 230 million. No doubts that this number is going to grow further. The viewership stats provided by Twitch and Youtube reveal that the most watched games are League of Legends, Dota 2 and Counter Strike: Global Offensive. Additionally, Hearthstone has also popularized the collectible card game genre since 2014, with several tournaments held annually. Legit eSports betting operators offer the best and the most secure ways to benefit from eSports wagering. By signing up with the sites like Betway or Unikrn, you can receive the greatest choice of the betting products. Thus, every punter can profit from placing the wager on the outcome of the single eSports match, predict how far the selected team will go in the tournament and much more. 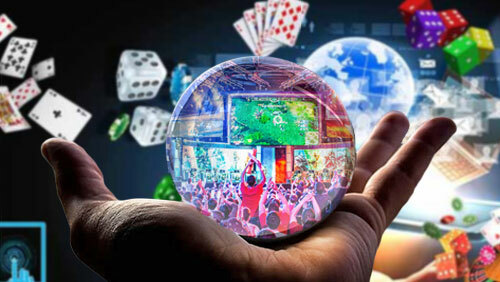 Additionally, the well-known eSports bookmakers such as Pinnacle provide so-called live betting. This allows every gambler to place bets right in the ongoing match. However, please note that not every site provides odds for all events or supports the particular game. So it is important to check the betting menu beforehand. Another way to wager on eSports is the fantasy eSports betting, which is almost identical to the traditional fantasy sports. The main idea is to assemble the virtual team consisting of real pro players and compete with other users on the eSports fantasy website. The success of the particular lineup depends on the performance of the selected pro players in the certain tournament. The user with the best virtual team usually receives the real money prize.